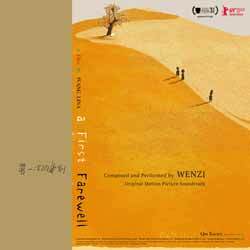 Wenzi's score for A First Farewell is atmospheric and is certainly instrumental in setting the right mood for the film. However, as enjoyable as I found this, unless you're a huge fan of the movie you'll really need to invest some time getting to know the music, as it's not instantly accessible. It was only after the fourth of fifth play through that I really started to peel back the many layers and began to enjoy the music. This is a beautifully poetic collection of themes - but they only really work if you play them in the order they're presented in, as the music grows and mature as the album progresses. Fans of the movie will need no excuse to pick this up, and for those that enjoy deep, rich scores that are a little different, there's plenty to enjoy here.